It’s awards season, when the music and film industries hand out awards to the most successful artists of the past year. 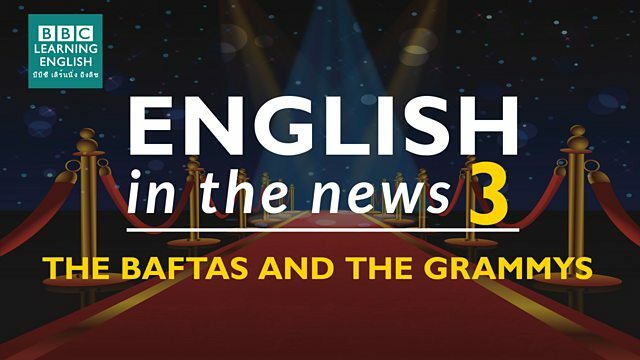 Join Sam and Clare who discuss two awards shows that took place this week, and learn phrases related to winning. What's another word for 'win'? I was so proud of my son! He was number one at his school's athletics championship and ______ the gold medal. Which word means the team was 'the most successful'? The team ______ the whole match and won 3 - 0. They could win the cup if they keep playing like this! Which phrase means 'to do something important that people will remember and learn about'? The team have won the cup for the 7th year in a row. They've ______. Which phrase means 'to be number one in a category'? In my opinion, chocolate still ______ as the best ice cream flavour in the world!